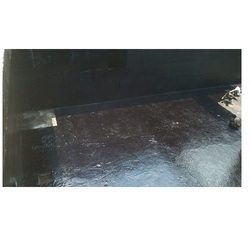 Offering you a complete choice of products which include coal tar epoxy coating, epoxy coating service, high gloss epoxy coating and industrial epoxy coating. We offer to our clients Coal Tar Epoxy Coating that are developed on the basis of proven formulas and are extensively used in radial gates, pen stocks in dams, concrete & M.S. structures of bridge, oil jetty, ports and in other applications. Epoxy Resin: EP – 182 100 Radial Gates, Penstocks in Dams, Concrete & M.S.Structure of Bridge, Oil Jetty, Ports, Ships, Pipe Coatings, Storage Silos & General Corrosion Protection of Structures against Saline Atmospheres. We offer to our clients high build industrial Epoxy Coating Service that is based on well researched formula and is extensively used in meeting the demands of industrial floorings and side walls. It is available in the following specifications. 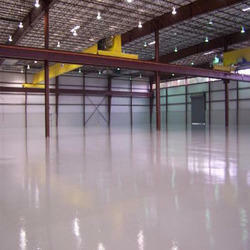 Epoxy Resin: EP – 418 100 High Build coating system for Industrial floorings and side walls. We offer to our clients High Gloss Epoxy Coating for meeting the self level flooring requirements of industries like Pharmaceutical, Dairy, Automobile, Engineering Industry, Laboratories and many more. Moreover, we offer this service to our clients in competitive rates. Pharmaceutical, Dairy, Automobile/Engineering industry, Laboratories, Store rooms, Hospital clean rooms, Industrial kitchens,Food processing plant, Bottling plants, Computer room etc. 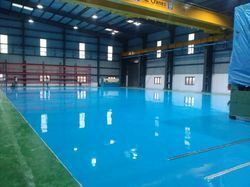 We offer to our clients high build industrial Industrial Epoxy Coating that is based on well researched formula and is extensively used in meeting the demands of industrial floorings and side walls. It is available in the following specifications.